One way to study cells is to tag specific molecules with reporter proteins, that can be detected using laboratory methods. This allows the study of protein location, function and production. Researchers at the RIKEN Quantitative Biology Center and the University of Tokyo have developed a method to visualize cancer metastasis in whole organs at the single-cell level. Harvard Stem Cell Institute (HSCI) researchers have used a colorful, cell-labeling technique to track the development of the blood system and trace the lineage of adult blood cells travelling through the vast networks of veins, arteries, and capillaries back to their parent stem cell in the marrow. The need to non-invasively "see" and track cells in living persons is indisputable - a boon to both research and development of future therapies. Emerging treatments using stem cells and immune cells are poised to most benefit from cell tracking, which would visualize their behavior in the body after delivery. Clinicians require such data to speed these cell treatments to patients. Researchers have discovered a dazzling new method of visualizing neurons that promises to benefit neuroscientists and cell biologists alike: by using spectral confocal microscopy to image tissues impregnated with silver or gold. Harvard Stem Cell Institute researchers studying spinal muscular atrophy (SMA) have found what they term "surprising similarities" between this childhood disorder that attacks motor neurons and amyotrophic lateral sclerosis (ALS), more commonly known as Lou Gehrig's disease. A new, noninvasive technique for tracking stem cells after transplantation - developed by a cross-disciplinary team of radiologists, chemists, statisticians and materials scientists at the Stanford University School of Medicine - could help surgeons determine whether a procedure to repair injured or worn-out knees is successful. Overworked and stressed out? Look on the bright side. Some stress is good for you. "You always think about stress as a really bad thing, but it's not," said Daniela Kaufer, associate professor of integrative biology at the University of California, Berkeley. A team of researchers from three medical institutions in Guangzhou, China, have found that iron oxide nanoparticles (INOPS) are a useful contrast agent for in vivo magnetic resonance tracking of transplanted human endothelial cells. In a study to investigate the detection by MRI of six kinds of positively-charged magnetic iron oxide nanoparticles designed to help monitor transplanted islet cells, a team of Japanese researchers found that the charged nanoparticles they developed transduced into cells and could be visualized by MRI while three kinds of commercially available nanoparticles used for controls could not. A Johns Hopkins team has discovered in young adult mice that a lone brain stem cell is capable not only of replacing itself and giving rise to specialized neurons and glia - important types of brain cells - but also of taking a wholly unexpected path: generating two new brain stem cells. A Johns Hopkins team has discovered in young adult mice that a lone brain stem cell is capable not only of replacing itself and giving rise to specialized neurons and glia – important types of brain cells – but also of taking a wholly unexpected path: generating two new brain stem cells. When researchers tested three different labeling agents on three different stem cell populations to determine what effect the labeling agents had on stem cell phenotype, biological behavior and migration abilities, they found changes in stem cell proliferation depending on the type of contrast agent used. Kupffer cells, resident tissue macrophages that line the liver sinusoids, play a key role in modulating inflammation in a number of experimental models of liver injury. Cancer starts when key cellular signals run amok, driving uncontrolled cell growth. But scientists at the Stanford University School of Medicine report that lowering levels of one cancer signal under a specific threshold reverses this process in mice, returning tumor cells to their normal, healthy state. 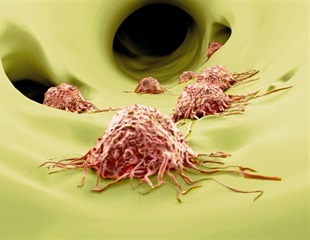 The finding could help target cancer chemotherapy to tumors while minimizing side effects for the body's healthy cells. A nanoparticle drug delivery system designed for brain tumor therapy has shown promising tumor cell selectivity in a novel cell culture model devised by University of Nottingham scientists. Diabetes researchers, investigating how the body supplies itself with insulin, discovered to their surprise that adult stem cells, which they expected to play a crucial role in the process, were nowhere to be found. Elsevier has announced plans to launch a peer-reviewed journal devoted to nanomedicine - the emerging science of using molecular machines to treat human disease. Nanomedicine: Nanotechnology, Biology, and Medicine, the official publication of the American Academy of Nanomedicine, will be published quarterly, with the first issue to appear in March 2005.